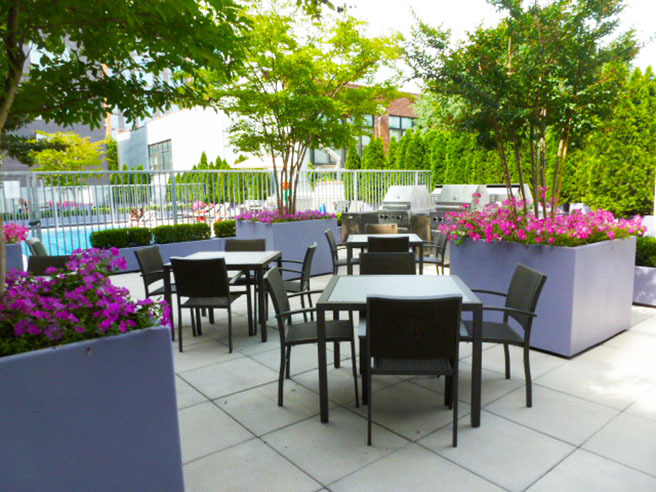 Updating this outdoor amenity space for a property in Williamsburg has allowed for a complete make-over. 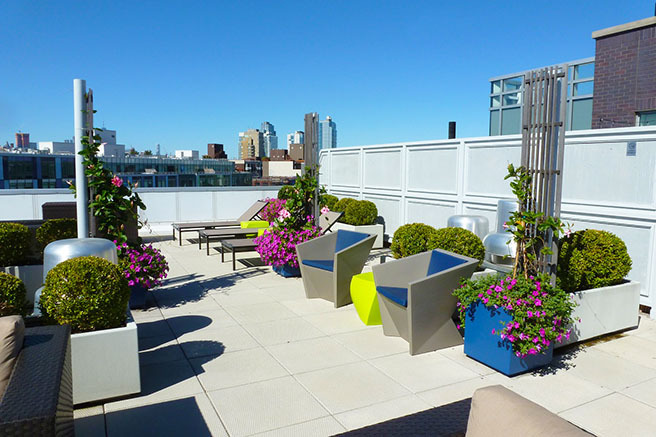 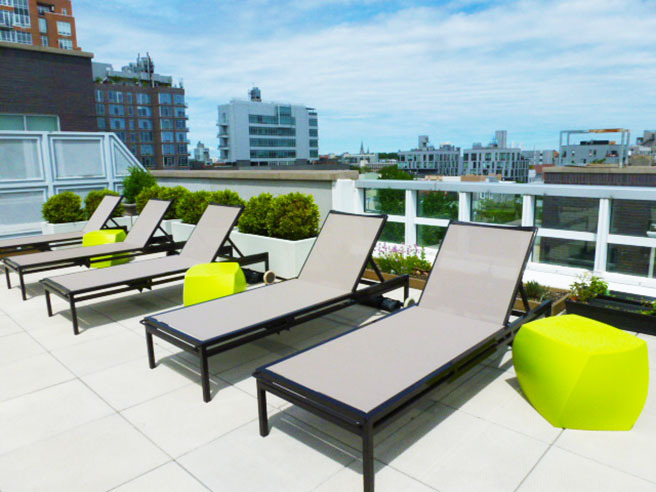 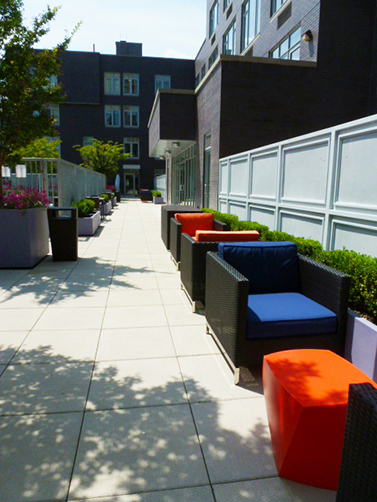 In-Site designers selected contract grade furniture and planters to hold up to the wear and tear of the multi-family residential market. 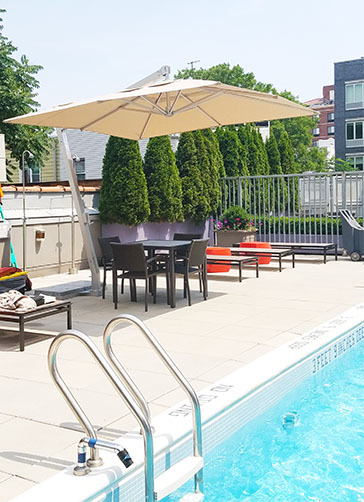 The client requested several types of seating arrangements including an area for large groups, chaises by the pool deck & rooftop and of course dining by the grill stations. 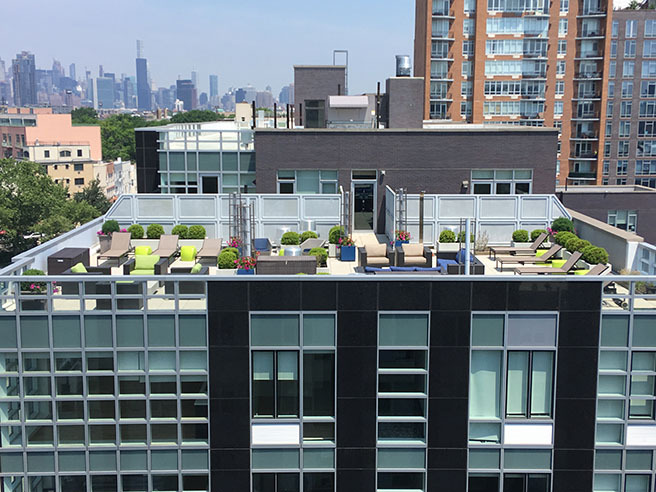 In the end, the tenants are thrilled with their new contemporary space and the client is happy with an increase of rentals, making for a successful return on investment.